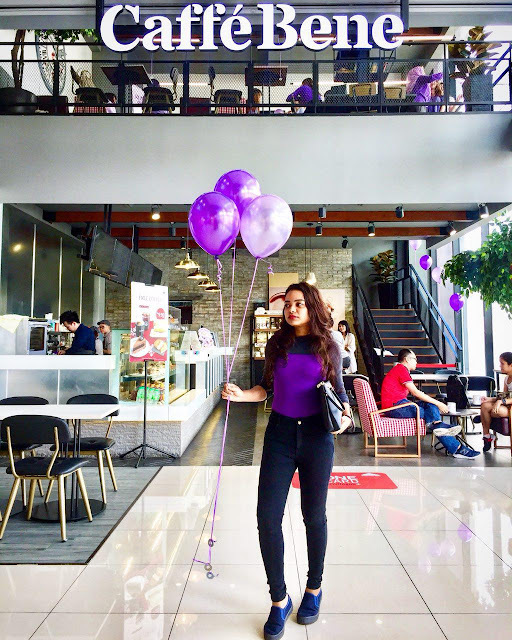 Sweet Potato Like Never Before and Butterfly Malaysia's Ultraviolet Party! The most I can think of when it comes to sweet potato is the roadside stall's sweet potato fritters. 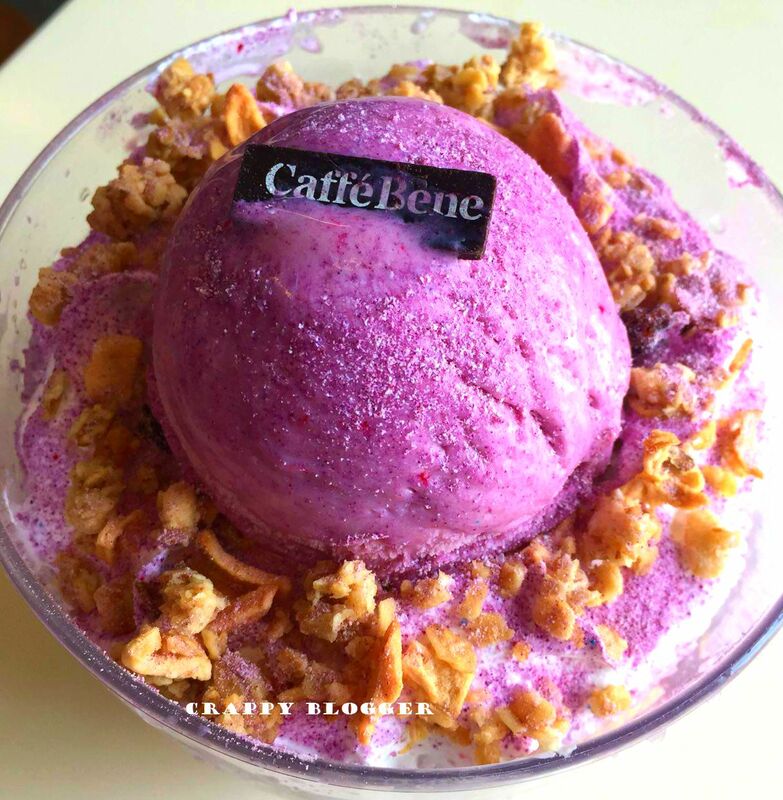 Caffebene came up with the Ultraviolet theme by presenting purple sweet potatoes series in a whole different way. Now I would not be able to see sweet potatoes the same again. 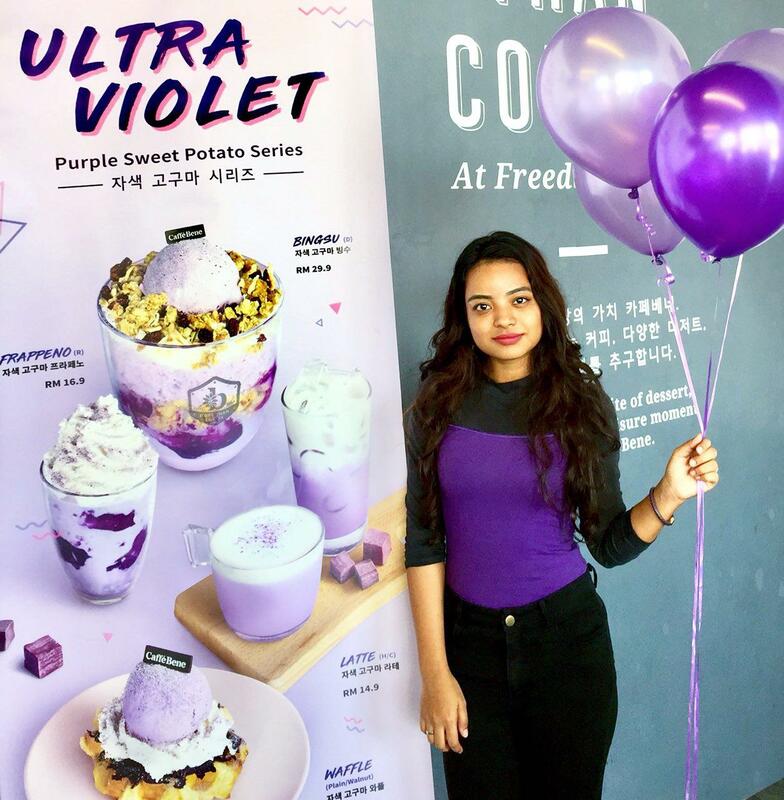 Introducing Ultra Violet Sweet Potato Cream Waffle, Ultra Violet Sweet Potato Frappeno, Ultra Violet Sweet Potato Latte Hot/Cold and Ultra Violet Sweet Potato Bingsu! Can they get any creative? Butterfly Malaysia made the session of trying these delights even better by arranging an UltraViolet party where we can get to dress up in all violet! Also, an introduction session took place which I missed as I was late. Explaining myself here, I was late because I got lost in One Utama Shopping Complex. AGAIN! I couldn't find my way and to be honest I was all alone and feeling super depressed. *LOL! Putting the tragedy aside, I was pleased that I finally found my butterfly family. 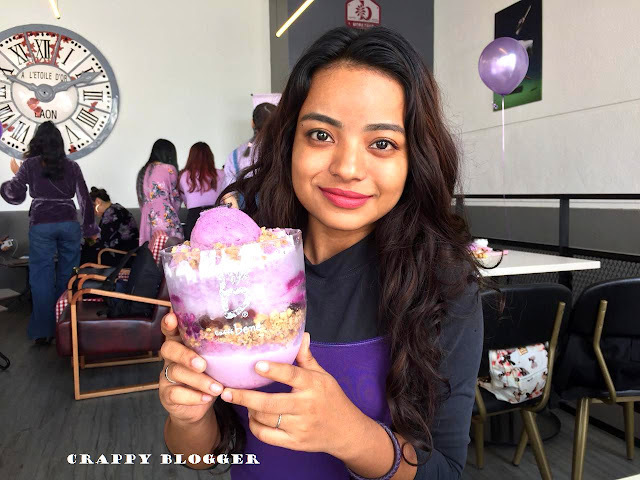 The food was served and what caught my eye was Ultra Violet Sweet Potato Bingsu! 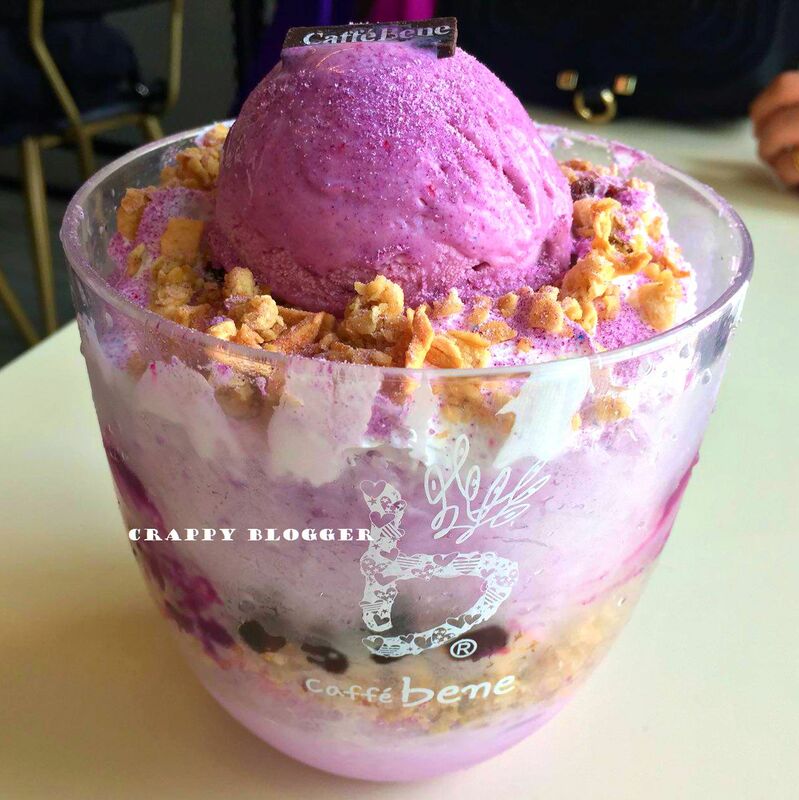 I have not tried a Bingsu before and the sight of it already made me crave for it. It came in a large size and the spot we started to dig in, the Bingsu kept surprising me as it was full of varieties of ingredients. Though it was my first experience, it is the best! Next, is the Violet Sweet Potato Latte Hot/Cold. I liked it in hot better. It definitely tasted completely different from the usual latte that we all know off. It had the taste of sweet potato while it was a latte. 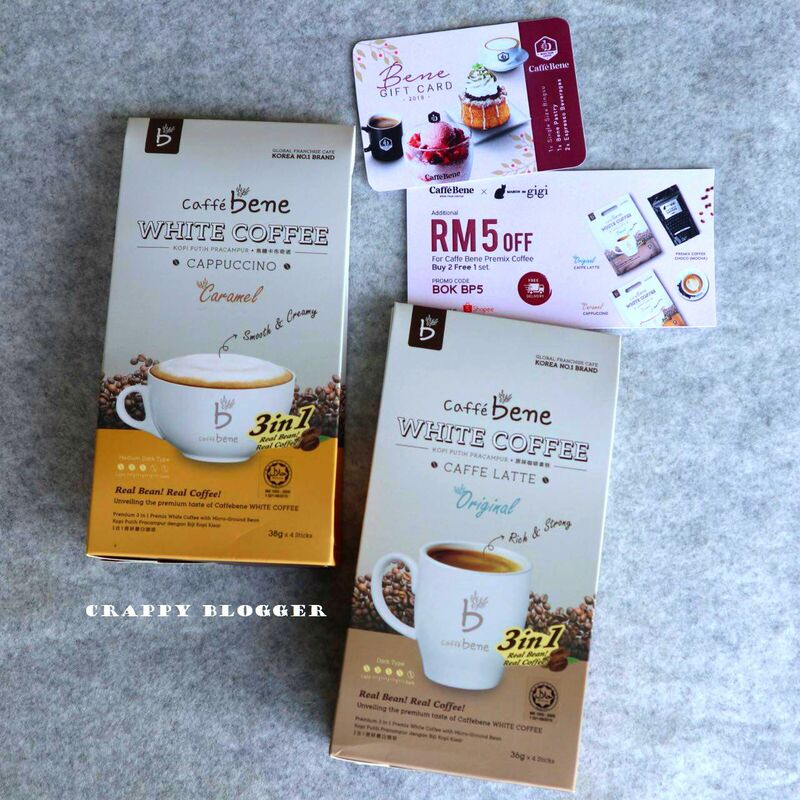 Excited to know how a sweet potato latte will taste like? 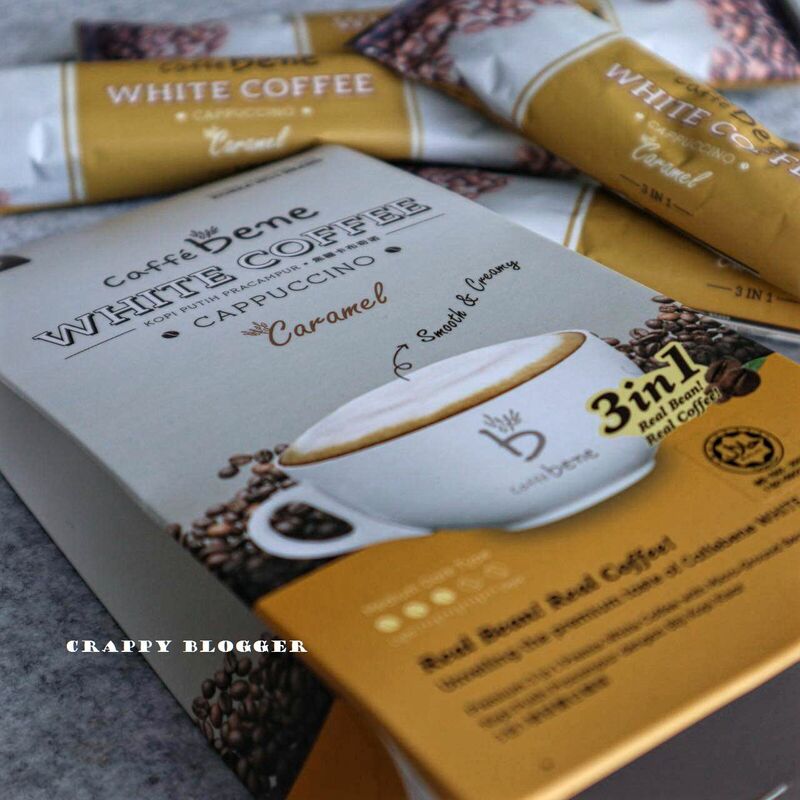 Head to Caffe Bene now and I swear that you will not regret it! I loved it while it was hot by the way. Ultra Violet Sweet Potato Frappeno was like the any other Frappe. The taste of the sweet potato enhanced it and of course, it looked so adorable in violet! And here comes my next favourite right after Bingsu, the Ultra Violet Sweet Potato Cream Waffle! Yes! The ice cream and the waffle went together super well that I couldn't stop eating it. It was so good that I went for a second round! Overall, I totally love this Ultra Violet Sweet Potato Edition in Caffe Bene. Thank you so much Butterfly Malaysia for giving me such an excellent experience. To those of you who haven't tried it yet. You should really try the sweet potato edition. At least one of it out of the four just to know how well sweet potato can go well with our normal latte and waffle. It definitely blew my mind and the next time I see a sweet potato edition I will definitely give it a go! 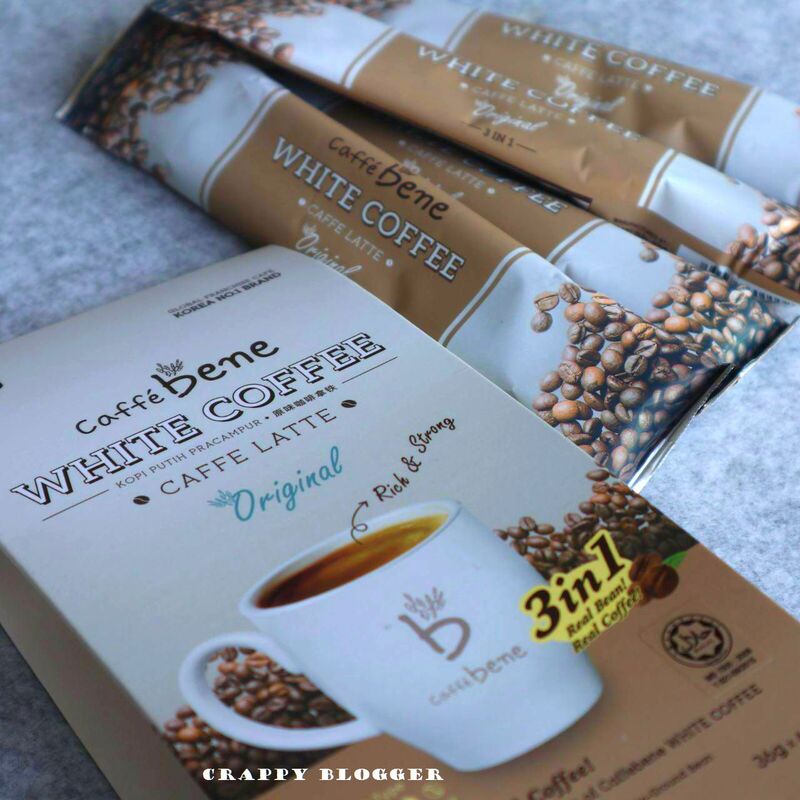 I have vlogged about my entire experience at Caffe Bene. Do watch my video to know what I ate! 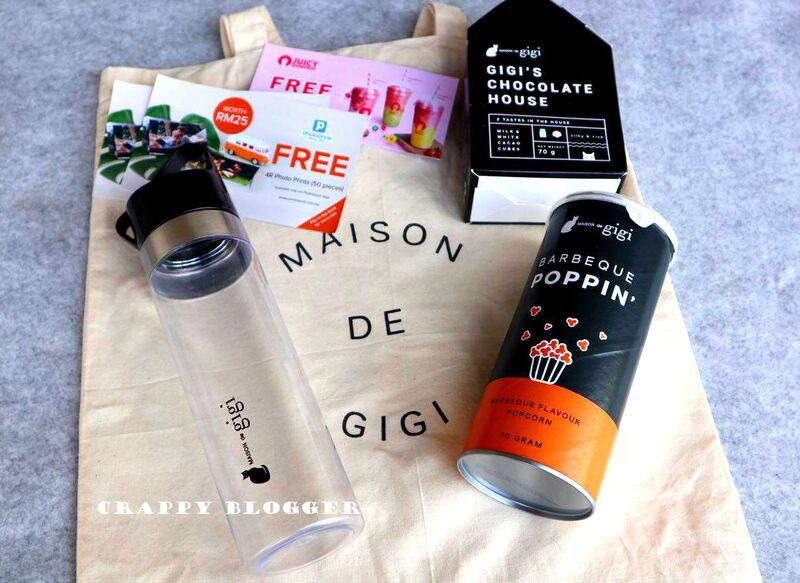 Here are some items that I tried out of the goodie bag that I got from Butterfly Malaysia. 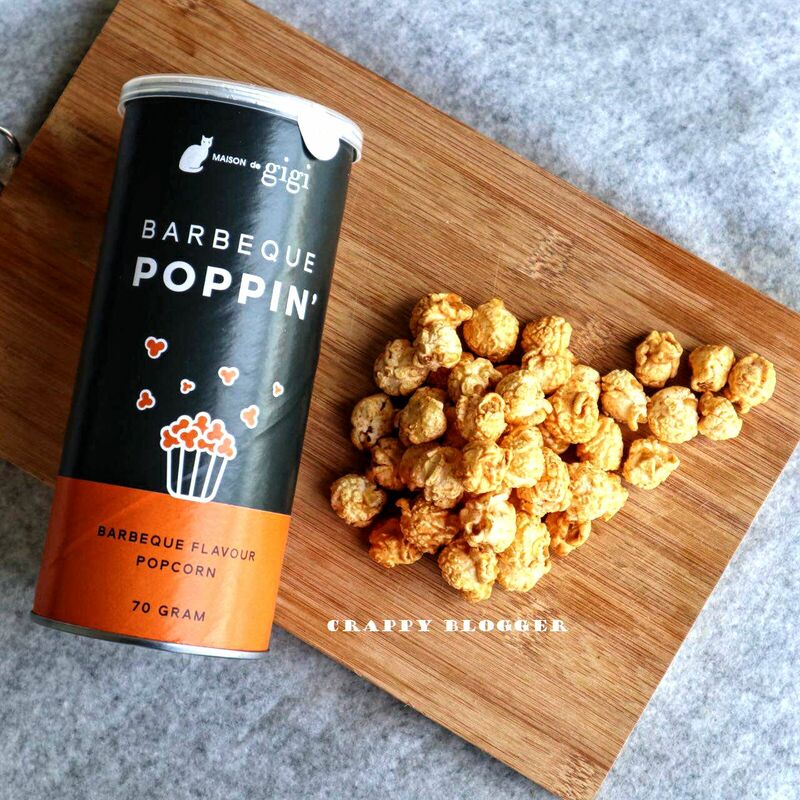 I am totally in love with the popcorn as I have not tried barbeque flavoured popcorn before. When I tried this I fell in love. 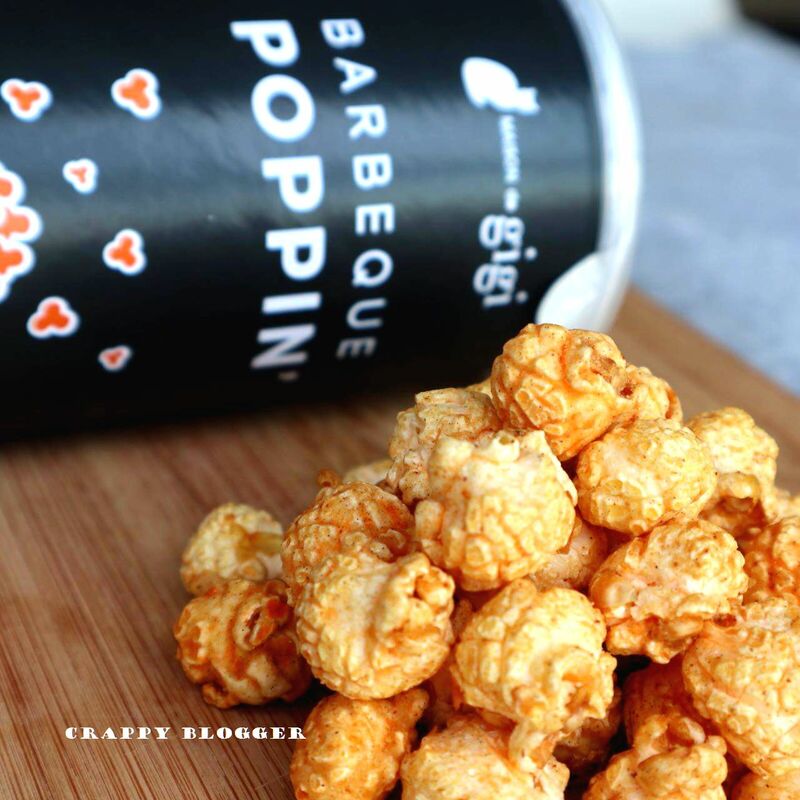 I have always though caramel is the only flavour popcorns will taste good in. 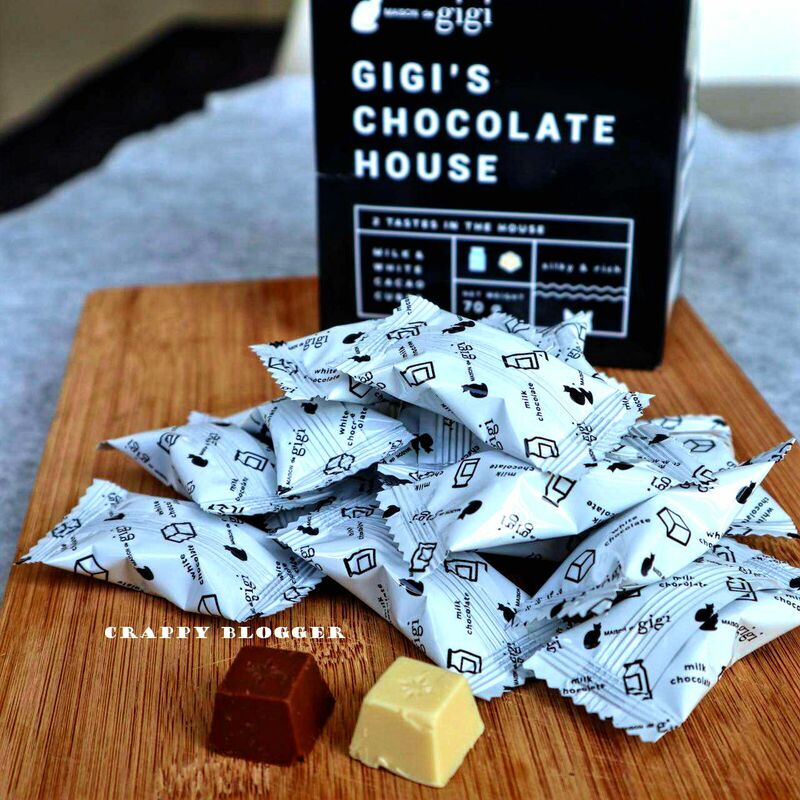 These chocolates are milky and completely rich! It comes in two flavours, milk chocolate and white chocolate. It is the best thing to be given as a gift if you have no idea on what to give as a gift to your friends. The Original coffee was rich and strong as said. The caramel stole my heart as it tasted like brown sugar and it was rather strong. Overall, I really loved exploring all of this heart-stealing goodies. Also, I can't wait to use the vouchers!